APPLE SAYS THAT the EU failed on a number of fronts in its investigation into its tax affairs – and that it fundamentally breached the company’s rights. Last year the EU found that Ireland provided Apple with up to €13 billion in illegal state aid and ordered the government to recoup the money. Apple always said that it planned to fight the decision, and earlier this week its appeal against the ruling was published in the Official Journal of the European Union. It claimed that the commission’s presumptions “are contrary to the burden of proof”. Basically, Apple is arguing the EU made up its mind about the company’s Irish tax affairs without properly assessing the evidence. Apple alleged that it did not receive “selective treatment”. This is a crucial point of appeal, as much of the EU’s case hinges on the argument that Apple got a deal not available to other Irish companies. It said that the commission “violated the principles of legal certainty and non-retroactivity by ordering recovery of the alleged aid”. It claimed that the commission failed to “conduct a diligent and impartial investigation”. Interestingly, it alleged that the commission breached the EU’s Charter of Fundamental Rights and infringed the company’s “right to good administration”. The charter guarantees ‘impartial, fair and timely treatment’. Finally, it claimed that the commission “exceeded its competence … by attempting to redesign Ireland’s corporate tax system”. This all obviously contrasts with the EU Commission’s original decision, which found that Apple’s Irish subsidiaries got special treatment that amounted to state aid. Fora has previously pulled out some of the key parts of the EU’s full 130-page ruling, and you can read some of the main points here. The legal battle will now go to the EU Court of Justice. The Irish government is also appealing the ruling, and has already spent €1.8 million fighting the EU’s decision. It is expected that the legal battle could take as long as six years before a final decision is made. 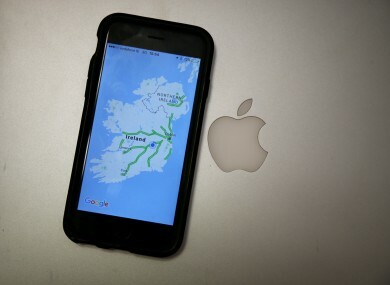 Email “'Our rights were breached': Here's how Apple will fight the EU's €13bn Irish tax ruling”. Feedback on “'Our rights were breached': Here's how Apple will fight the EU's €13bn Irish tax ruling”.